We take a moment to give you an idea of what to expect from Microsoft’s press conference at E3 2015. Monday, June 15 at 9:30 AM PT/12:30 PM ET – Follow SmashPad on Twitter while it happens! This year’s show is an important one for Microsoft as they have an opportunity to push their strong fall lineup and show what they’ve got beyond that for 2016. We know that they’ve got Halo 5 Guardians, Fable Legends, Forza MotorSport 6, and Rise of the Tomb Raider as their big titles for this fall, which is a big turnaround compared to their complete lack of big titles in the first six months of 2015. It’ll be interesting to see what Microsoft does to try to make Forza 6 stand out compared to the last few games that have largely been the same thing and the same goes for Fable Legends after the Free to Play announcement that puts that title in a whole new light. 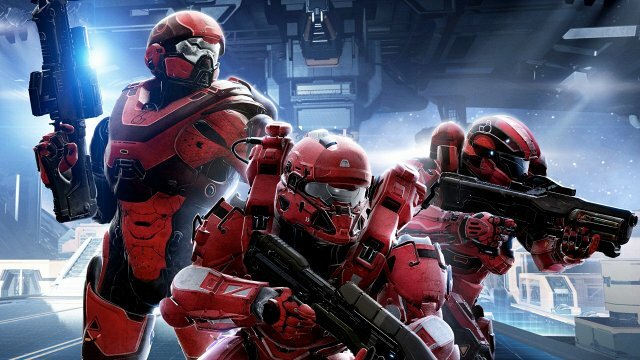 Halo 5 Guardians should be a huge title for them after the disaster that was Halo: The Master Chief Collection has put 343 Industries’ new Halo title in doubt for some fans. Rise of the Tomb Raider looks to build on the hugely positive buzz from the original and that it’s essentially a Microsoft title for this fall, which everybody has had a year to understand after Microsoft’s horrid PR response to the confusion most people had over how “exclusive” the game was going to be. I’d bet on Halo 5 and Tomb Raider demos during the show. The biggest rumor of what Microsoft will have to announce, that is mostly confirmed, is the remastered version of the original Gears of War coming from Black Tusk, who is also currently working on the next iteration in the series. The modest offering should make this title more of a polished product than Halo: The Master Chief Collection. It seems like a good candidate for a fall release, though this all depends on when the next game is coming out. If it’s out next fall, this could come out next spring as an appetizer to give Microsoft something notable for early 2016. It seems like a safe bet that we’ll also see a trailer for Gears of War 4 or whatever they want to call it. Rare seems poised to appeal to your nostalgia with an announcement of something that would have to be Battletoads-related if the Shovel Knight cameo, Phil Spencer’s T-shirt, and the general sentiment of Rare fans have any meaning. If that fails, we could also see a new Banjo game or Viva Pinata if they want to appeal to some of the most popular recent properties that they’ve released last generation. It will at least be nice to see a new project from Rare that has nothing to do with Kinect, as they’ve been tasked with Kinect Sports titles for the past few years instead of more traditional games. Speaking of nostalgia, there is word that a beloved strategy game will be returning with Microsoft’s new Decisive Games studio that sounds like a big part of their PC lineup for this show, which could be shown here or at the PC Gaming Show depending on where the biggest push may be. After the deceitful Phantom Dust trailer in last year’s show, we need some more concrete proof of Microsoft’s desire to utilize their old IPs well. The most interesting rumor we have is that there will be a number of new IPs coming from Microsoft in this show, as Phil Spencer himself has said so along with proclaiming that we will see the greatest lineup of games in the history of Xbox. Looking at the studios under Microsoft’s control, this seems like a great fit for Twisted Pixel (Splosion Man and Loco Cycle) and Press Play (Kalimba and Max: The Curse of Brotherhood) to have new games for Microsoft after lengthy breaks following their last major titles. This could also be a place where The Behemoth fully unveils Game 4 at the show as a new IP along with Capybara returning with Below that may be nearing release with its third E3 appearance. Undead Labs, makers of State of Decay, could also fit this bill with Class4, the zombie-filled MMO that they’ve been working on that may be a new IP as much as it is a successor to State of Decay. We could also see some new partnerships for this aspect of their lineup, which would be nice to see who they can get. Third-party games featured at the show may take a different turn this year if the rumored change in Call of Duty’s Xbox DLC exclusivity is true, as rumors suggest this year’s Black Ops III will be the first Call of Duty title in a long time where Xbox players will not get it first. We do know that Tom Clancy’s The Division from Ubisoft has an exclusive content first deal with Microsoft, so expect them to be featured once more assuming Ubisoft can hit their new 2016 date for this game. Metal Gear Solid V: The Phantom Pain is expected to showcase a new six- minute trailer on Monday, which may well lead to it being featured at Microsoft’s show in their quest to try to disassociate it from the PlayStation brand. We could also see Tom Clancy’s Rainbow Six Siege on stage if Ubisoft wants another game to go with The Division as far as being featured at the show. Of course, I would expect some new stuff to get featured as a surprise, but with Bethesda, EA, Ubisoft, and Square Enix hosting their own conferences, I’m not sure where to expect surprises from. Indies will probably be a big part of the show as Chris Charla takes the stage to talk about ID@Xbox, which still needs to get rid of that parity clause to make it much easier for developers to get their games on Xbox One no matter when they have the desire to do so. It’ll be hard to really guess anything that will be announce, though there were still a bunch of games announced last year for Xbox One that have yet to be released. Most of the hardware talk was announced early by Microsoft with the announcements of the 1 TB Xbox One and the new Xbox One controller with the 3.5 mm jack for easy headset compatibility. That is definitely not all of it, as the Occulus Rift and HoloLens are two investments that they will likely be talking about at some point. The device that is most likely to be compatible with Xbox One directly is HoloLens with Microsoft owning the technology and not giving Facebook that much power with more support for the Rift. I’m legitimately curious to see if there will be a lot to show for HoloLens games since it doesn’t seem like that sort of tech is as close to being ready for games support as VR will be at E3. The Rift support will probably be a much bigger thing at the PC Gaming Show with the level support that has been announced so far with the weirdly empty VR gaming room that is used for streaming Xbox One games to a Windows 10 PC and that the Xbox One controller is the official pack-in controller. If Phil Spencer and Microsoft are as honest about wanting to support WIndows 10 and PC gaming in a much better manner than they have over the past ten years, this will be the best place to show that. They obviously need more multiplatform titles, more ports from consoles, or have some native stuff in the works that or a combination of the three. The Cross Buy stuff they talked about before is also important if they want to push the idea that Windows 10 on PC and Xbox One are essentially the same. So far, we just have Pinball FX2 as the lone Cross Buy title and they need to step it up. The easy path would be to bring more Xbox Live Arcade stuff from the Xbox 360 to Xbox One and the Windows 10 PC store and have it all be Cross Buy to Xbox One and PC to give people some investment into the Windows 10 ecosystem. If they just stick to new titles, it’ll grow slowly and might eventually get to a good place, but Sony’s wiping the floor with them in this regard because they’re not being so picky about it. Microsoft has also stated their desire to talk about new firmware updates for the Xbox One, so they must have some important news on that front. Obviously, the big Windows 10 update is the focus of this talk, but what else comes with that? We know quite a bit about the PC side of that equation, so it’ll be nice to find out what’s on the other side. The app/situation seems like it’ll get much easier to publish across both systems, though what that means for games, service apps, and apps that add new functionality is to be determined. There are a lot of little issues that need to be fixed or tightened up that are mentioned on the Xbox Feedback site for Preview members. There definitely seems to be a lot that Microsoft can announce and show off for us, so we’re looking forward to the press conference on Monday morning to see what they have in store for us. Luckily, they’ve got daily shows to talk about more stuff and that PC Gaming Show that PC Gamer is running to spread out some of this stuff, so we’ll do our best to keep you up-to-date on everything. Follow us on Twitter, as we will be liveblogging every show on there so you can easily access it from anywhere. Stay tuned for our Sony preview coming soon.